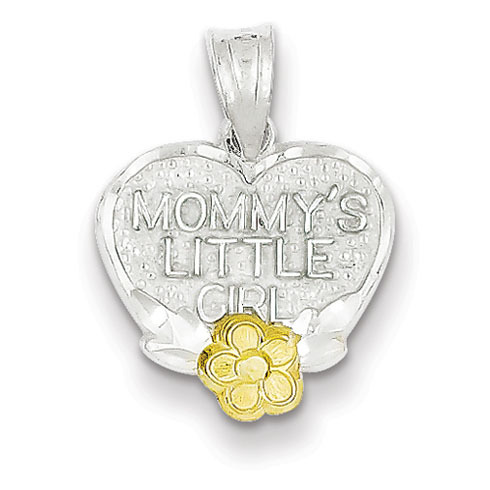 Sterling Silver Mommy's Little Girl heart charm has a gold-plated flower accent. Item measures 1/2 inch by 1/2 inch without bail. Weight: 0.8 grams. Made in Canada.